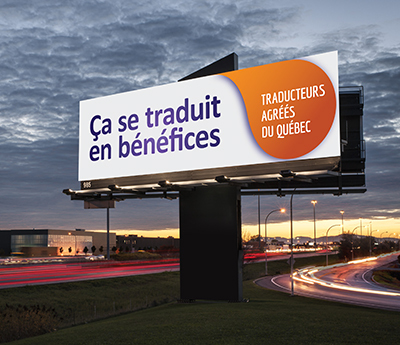 This weekend I discovered that OTTIAQ, the Ordre des traducteurs, terminologues et interprètes agréés du Québec had run a large-scale advertising campaign. It is an order with a reserved title representing more than 2,100 members, all of whom are certified language professionals. The campaign was aimed at Montreal’s business community and the general public. Reblogged this on Translation Dawn.